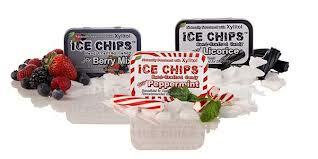 Beverly Vines-Haines and Charlotte Clary walked into Shark Tank to pitch Ice Chips Candy. They were asking for $250,000 for 15% equity in their company. Both ladies are grandmothers and have 37 grandchildren between them. They are a family owned business and were seeking the money to expand into full manufacturing. In 2012 alone they have sold $342,000 and expect the final figure for the year to be $700,000 or more. Last year’s sales were $360,000. Barbara offered $125k for 33% of the business. Kevin offered $125,000 for 20% and wanted to partner with Barbara. Barbara lowered her deal to 20% but won’t partner with Kevin. Daymond jumped in for $250,000 for 30%. Mark then offered to partner with Barbara. Kevin offered a new deal to partner with Daymond for 35% equity. Daymond then changed his offer to $250k for 25%. The sharks were circling! In the end, they decided to partner with Barbara and Mark. Two Sharks are always better than one. If you or anyone you know has a new invention idea and needs help, please contact us at New Product Consulting. This entry was posted in Uncategorized and tagged 37 grandchildren shark tank, barbara, baymond, candy chips, candy grandmoms, grandmoms make deal, grannies on shark tank, help with invention, help with licensing, help with my invention, help with patent, how to get an invention made, ice chips, invention, invention consulting, invention help, invention tips, Kevin, license invention, marc, new invention, new inventor, new product, new product consulting, patent, represent invention, Robert Herjavec, Sell invention, sell my invention, sell my invention on tv, shark tank, steps for inventors. Bookmark the permalink.